To be a leading team in dentistry, by providing quality, ethical health care and professional service to our patients; assembling highly educated, talented, hard-working individuals inherently committed to delivering optimum patient care. To establish a comfortable, caring environment through comprehensive treatment. 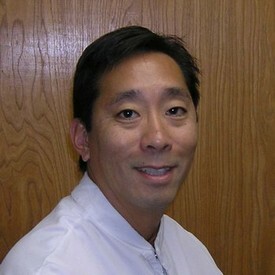 Dr. Shimizu is supported by a talented staff dedicated to make your experience in our office professional and comfortable. 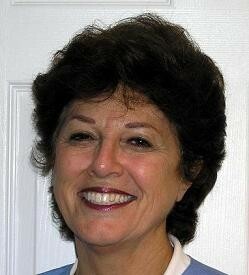 Bernadette (Bernie) Riggi, R.D.H., is a registered dental hygienist. 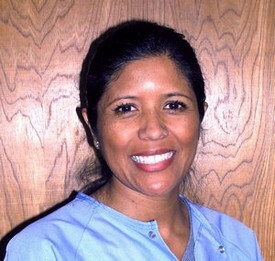 She graduated from Cerritos College dental hygiene program. She has been in the dental field for 27+ years, first as a dental assistant and now as a RDH. She has been with the office for 24 years and the last 17 has been with Dr. Shimizu. She was a member of the part time faculty U.S.C. dental school non surgical periodontal department for 15 years. She also worked for 11 years at Children’s Dental Center. She has three children, four grandchildren and is awaiting the birth of her fifth grandchild. 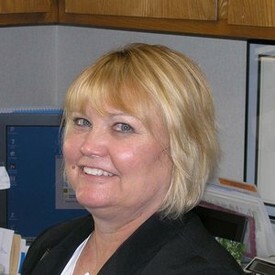 She enjoys spending time with her grandchildren and friends, she also enjoys traveling and going on road trips. She has done volunteer work with Flying Samaritans and volunteers at her church. As a hygienist Bernie will be involved with your oral hygiene and hygiene instruction, she will help you with any hygiene questions you may have and make recommendations regarding your oral hygiene as it relates to your health. Arlene De Nijs, R.D.H., is a registered dental hygienist. She has been in the dental field for 8 years, first as a dental assistant now as a hygienist. Since she has started with our office we have had excellent feedback from the patients who have seen her commenting on her thoroughness and the instruction she offers to them on maintaining their dental health. As a hygieneist Arlene will be involved with your oral hygiene and hygiene instruction, she will help you with any hygiene questions you may have and make recommendations regarding your oral hygiene as it relates to your health. Her family consists of her husband, two children and two dogs which keep her busy in her spare time. She also enjoys doing home projects, health and nutrition, and eating. 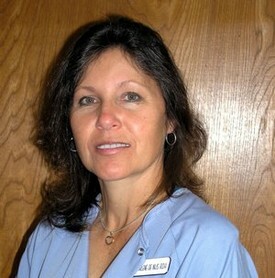 Lilian Nelson, R.D.A., is our registered dental assistant. She took some college classes before deciding that she would like to become a registered dental assistant. She has been in the dental field for 17 years. Lilian is the person to ask if you have a question about your treatment or how a procedure is done. She lives with her husband Mike, son Zachery, stepson Pat and their dog Marley. She enjoys cooking, riding her bike at the beach, walking her dog, watching movies, dancing and motocross. In the past she has volunteered in Mexico at an orphange and would like to do so again in the future.